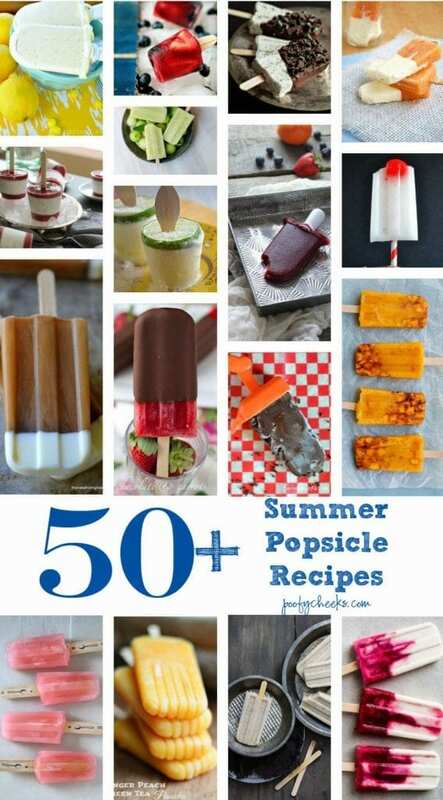 Jell-O Popsicles Recipe – This post contains affiliate links and by making a purchase I may receive a small commission. Jell-O comes in so many yummy flavors (hello… have you tried the Jolly Rancher flavors!?) and I have been trying to find the perfect way to use it to make Jell-O popsicles. When my boys and I made this batch we nailed it! 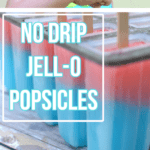 The Jell-O popsicles were easy to make and when they started to melt they just become a Jell-O consistency on the stick instead of running down the stick making a melty mess! We will be making these quite often this summer and next time I am trying them with fruit! SEE THE Jell-O Popsicle MELT TEST and Q&A’s HERE!This recipe created a lot of buzz and questions. Read the comments below as many of them are also answered there. Slow drip popsicles made using Jell-O. Less mess with kids and oh so yummy. Bring 2 cups of water to a boil. In a medium bowl mix sugar and Jell-O powder. Stir in boiling water, stirring constantly until Jell-O and sugar are completely dissolved (about 2 minutes). Stir 2 cups of cold water into bowl and then pour mixture into popsicle molds. Put the popsicles into the freezer until completely frozen. This made about 40 ounces and we had 8 ounces left after filling our 10 slot popsicle mold. This is what the jell-o popsicles look like when they start to melt… all you can see is condensation. They go from being frozen to a gelatin consistency and they don’t melt like typical popsicles. 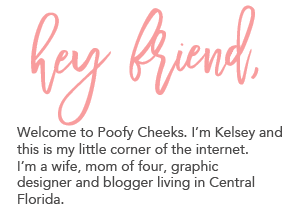 As a mom this makes me happy. Less mess, less stress and more fun for all with these Jell-O popsicles! Ooh, the fruity jello popsicles were my favorite when I was a kid! The pudding pops were ok too, but it was the fruit ones that I adored. Sadly, I haven’t seen those in many years, so I’m extra excited to try your recipe! Dont they need to be put in the freezer after you mix everything together? I dont see that in the directions? I DID THIS AND IT CAME OUT LIKE NORMAL JELL O ????? THANK-YOU FOR SHARING. I WAS JUST THINKING ABOUT IF JELL-O COULD BE — USED TO MAKE POPSICLE'S OR NOT. WE — USED TO MAKE JELL-O PUDDING FUDGESICLES WHEN I WAS A KID. We made these when I was a child and again for my daughter, but we also put a pkg of unsweetened kool-aid in as well, and not as much sugar. They are more tart, with more flavour. I agree, what is the purpose of the added sugar? Because you only live once and sugar is awesome. Any department store. Some grocery stores no need to spend extra money at Amazon. I am wondering why is all the extra sugar necessary? I'm wondering about this as well, Jell-O is sweet enough on its own, does the sugar serve any purpose other than extra sweetener? Add Koolaid to the Jello. Only add 1 cup of sugar and 2 cups of hot water, dissolve, then add 2 cup of cold water. Perfect! I've been making them for 40 years! About how much Koolaid do add to your Jello? OMG, ingenious! I forgot about these as a kid. I'm so going to try this with my daughter. Thanks for sharing on the #mondayfundayparty ! These look sooo yummy, the kiddos will love it!